Hosta 'Golden Tiara' is a small to medium hosta, and part of a tiara family of hostas ('Diamond Tiara', 'Emerald Tiara', 'Grand Tiara', etc). It has small heart shaped leaves that are medium to light green in color with gold edges. 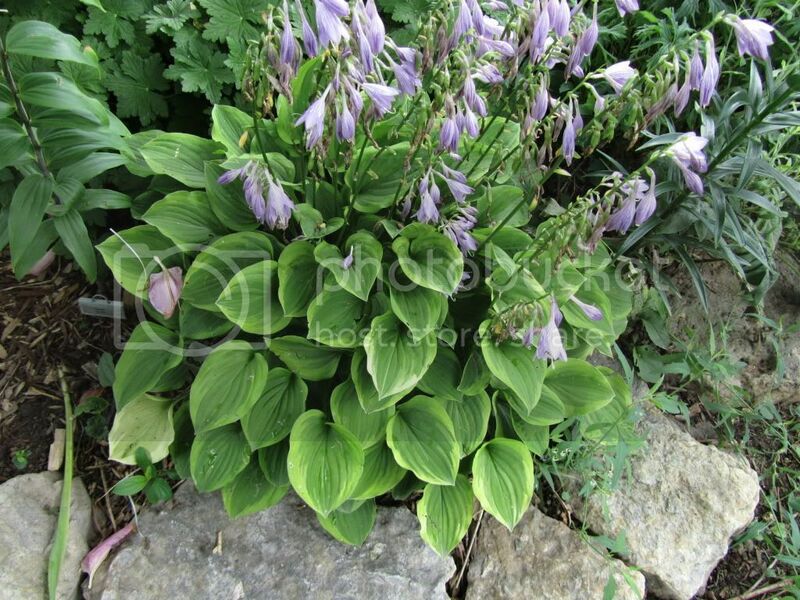 Like a lot of the other hostas featured this week, it makes a great front of the border hosta because of it's size. 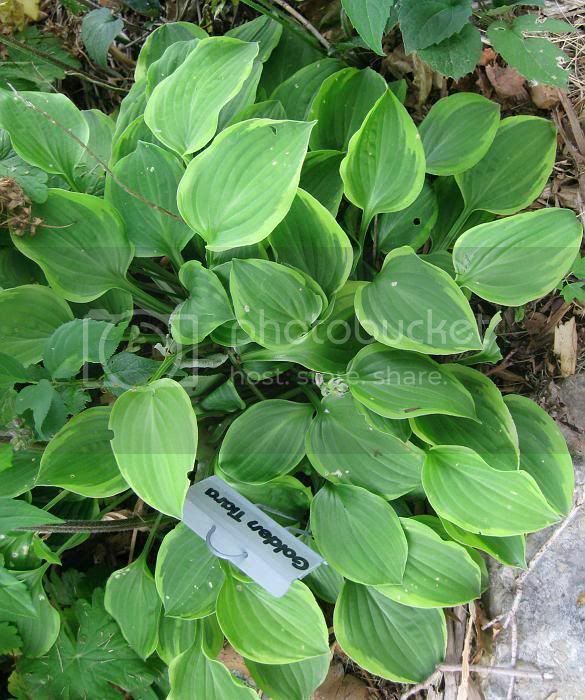 It's a very easy to grow variety of hosta, and pairs well with hostas that are green or blue in color.